Whenever you think of personal hygiene, typically the first thing that comes to mind is the bathroom and nothing else. Since you know that your bathroom is your only room for personal hygiene activities, you should also know by now that it requires one of the most beautiful designs you can afford. Bathrooms contain a toilet, shower or a bathtub, mirror, and sinks. And some will only include the toilet and sink at a minimum. 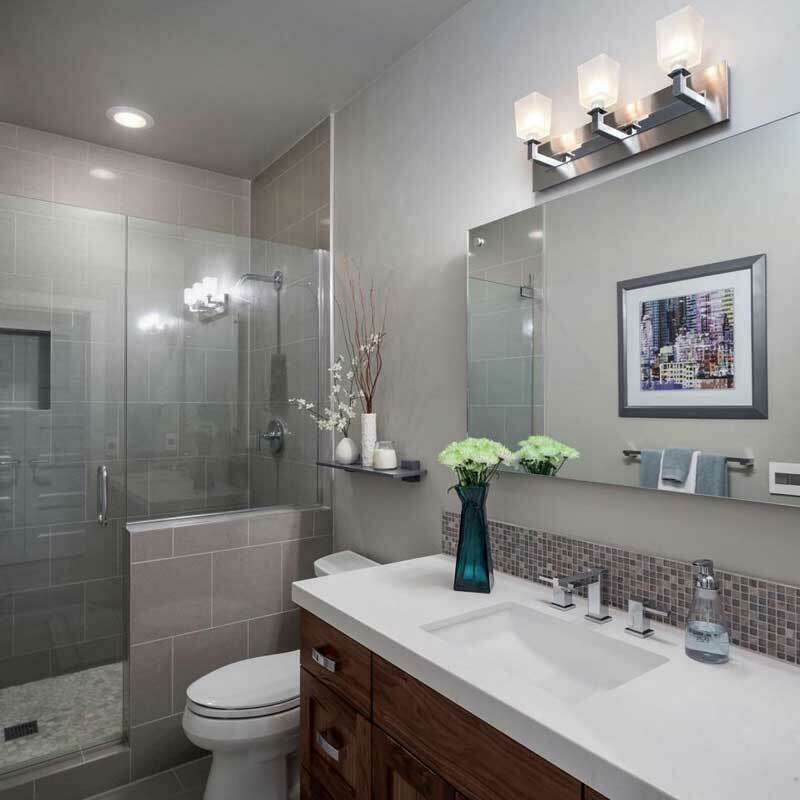 With all that said, take a look at your bathroom; how does it look? Nobody is interested in an old fashioned bathrooms as there are lots of modern designs for bathrooms these days. You can enhance the look of your bathroom with one of these art design trends. Below are 50 modern small bathroom design ideas, with pictures, to give you a glance on what they look like. Your bathroom will look more beautiful with one of these designs. This bathroom with white and black tiles, with a unique ceiling design giving it a contemporary look. The high profile bathtub is built in the corner next to a separate shower with a glass door. The bathroom has unique black countertops that compliment its design. If you are the type that likes it simple, you might prefer going for this kind of bathroom design. The bathroom is simply designed, having the sink with a mirror close to the toilet, and the tub fitted by the side with a bold graphic shower curtain. 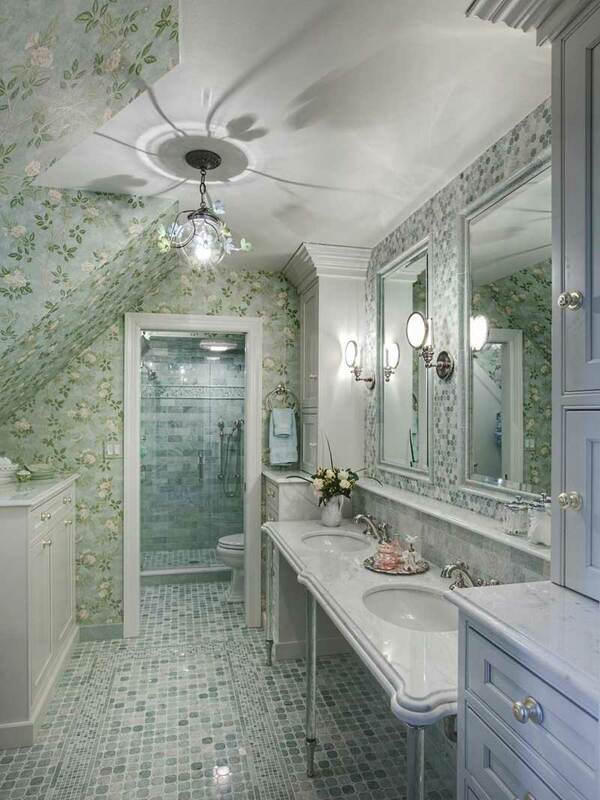 The floral design on the bathroom walls give it a unique and beautiful flare. It has a wide space, mirrors fitted on the wall above the sink, with green topiaries by the window to add an extra elegant view. The beautiful rug also has a unique floral design. 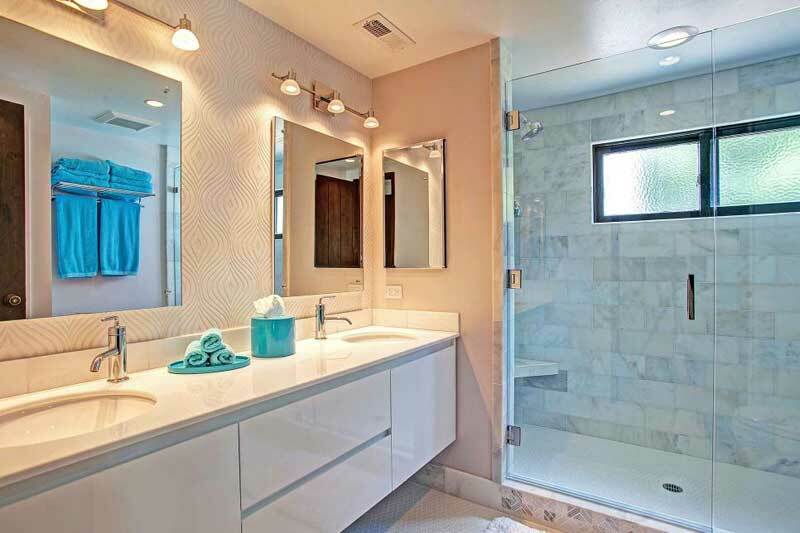 If you are looking for a modern style bathroom design, this might be an excellent choice. 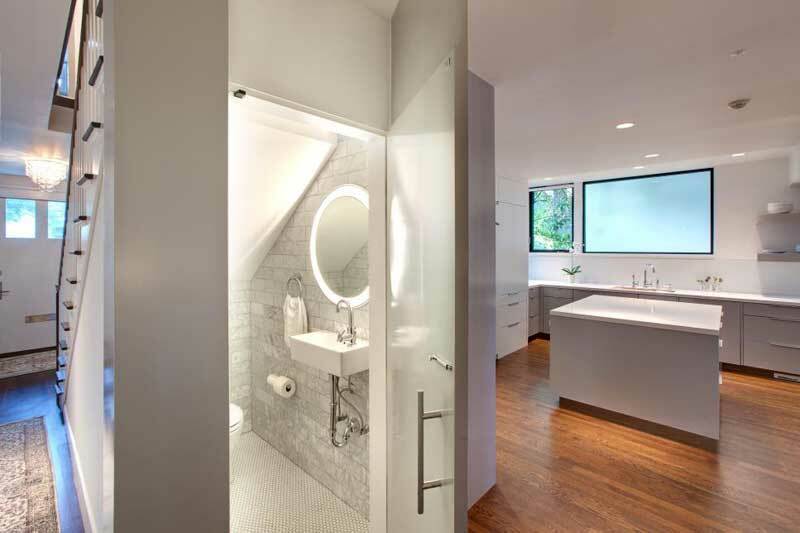 This bathroom has clean, modern lines with a shower nestled in the corner. The clean black dotted walls compliment the beauty of the bathroom. The brown tiles and black vanity with a white basin on top boast a streamlined design for a contemporary look. This is a simple modern art design and has not much space in it. The combination of black and brown tiles gives it a sleek design, with a mirror mounted on top. White walls, gray tiles, a floating vanity and a mirror fixed on top compliments the look of this simple modern bathroom design. You can also find the sink with simple faucets and a shower to the side. 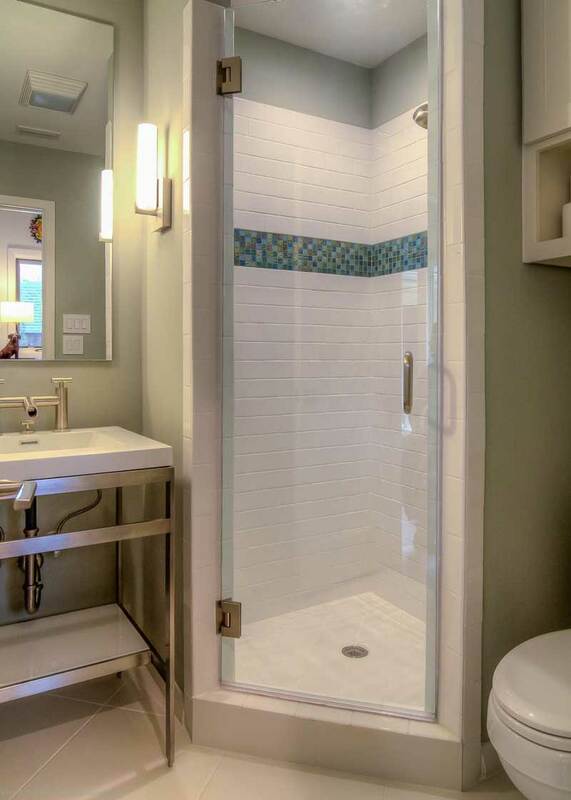 This would make an excellent choice for those that like bathrooms with a simple wide shower. It has a mirror with a wooden frame and geometric tiles that add to the beautiful view. As light comes through the window, it makes the shower looks large. 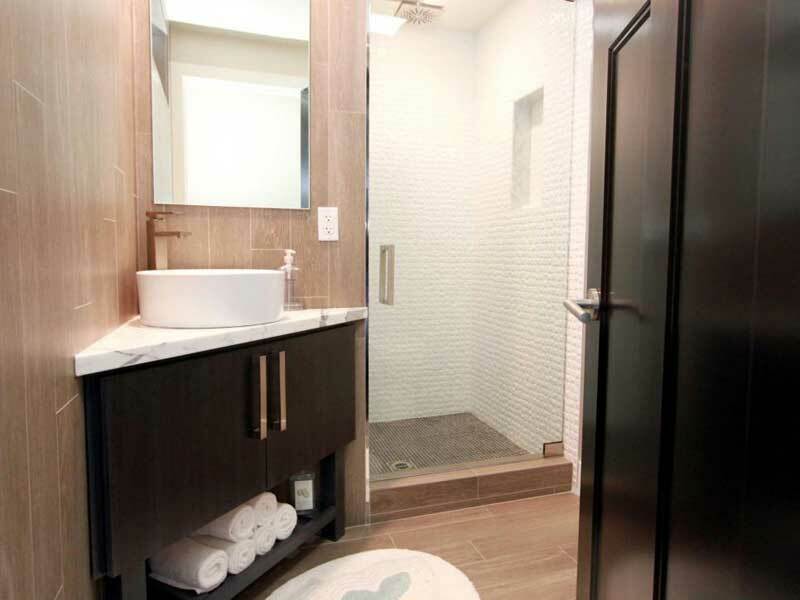 The bathtub is separated from the toilet and the sink with high standard glass doors. It also has the perfect color; brown mixed with white. 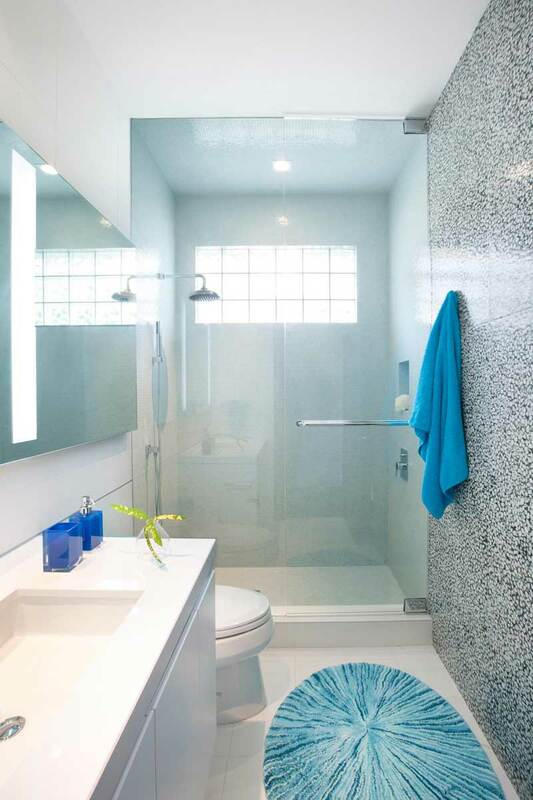 A high-class bathroom design with white walls and a sky blue wall by the side. The bathroom has a large mirror and sink, with the toilet fitted by the side. 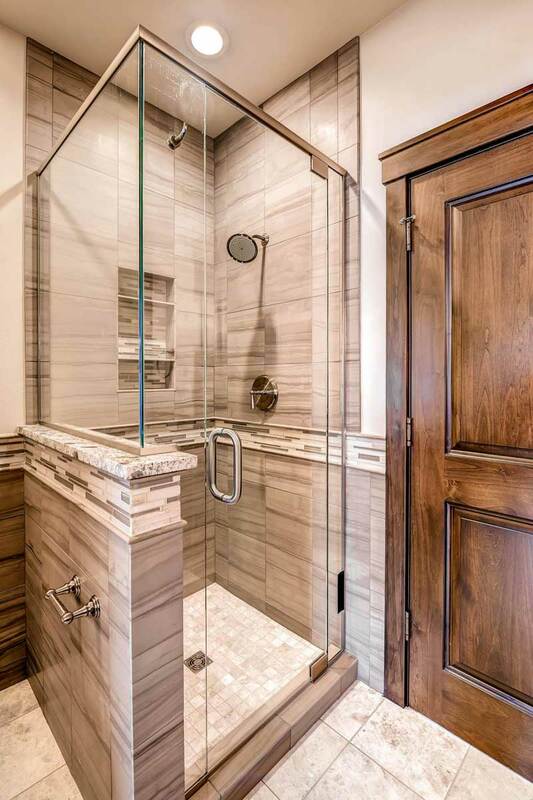 The large glass walk-in shower makes this one of the best designs. Double sink with faucets and large mirror. The walls are made of gray stone tiles to compliment the flare of this fantastic design. Another feature is the beautiful ceiling, fitted with large round bulbs. This is one of the best works of art designs for bathrooms. The door is made of well-trimmed wood with a sleek design. You can’t take your eyes off this beautiful layout. The shower also has a walk-in glass door, with the inside made of clean brown tiles. This bathroom is quite different from others. 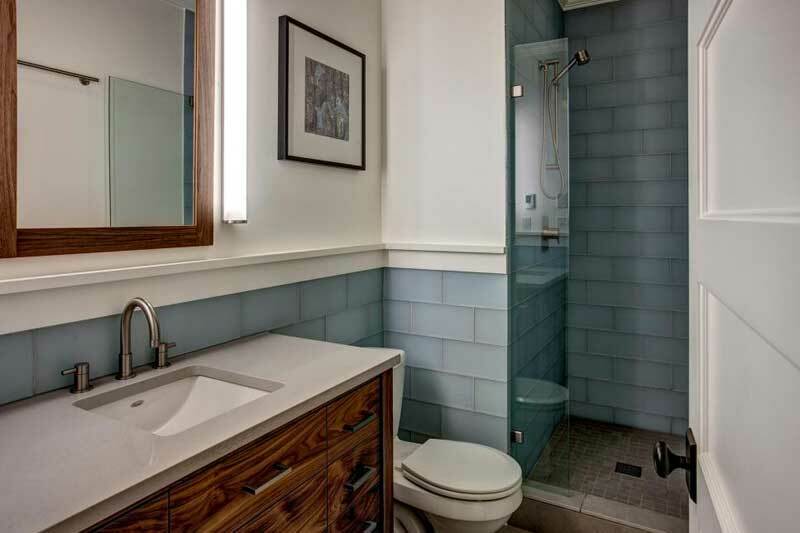 The hardwood floor gives this bathroom a unique design, with both a bathtub and a walk-in glass shower. 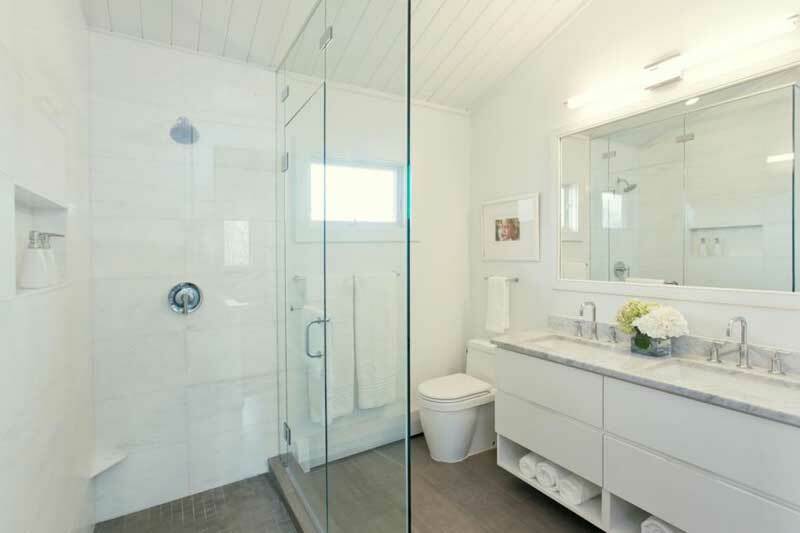 White walls and windows letting in light give the bathroom a bright look. This could certainly give your bathroom that beautiful look it deserves. 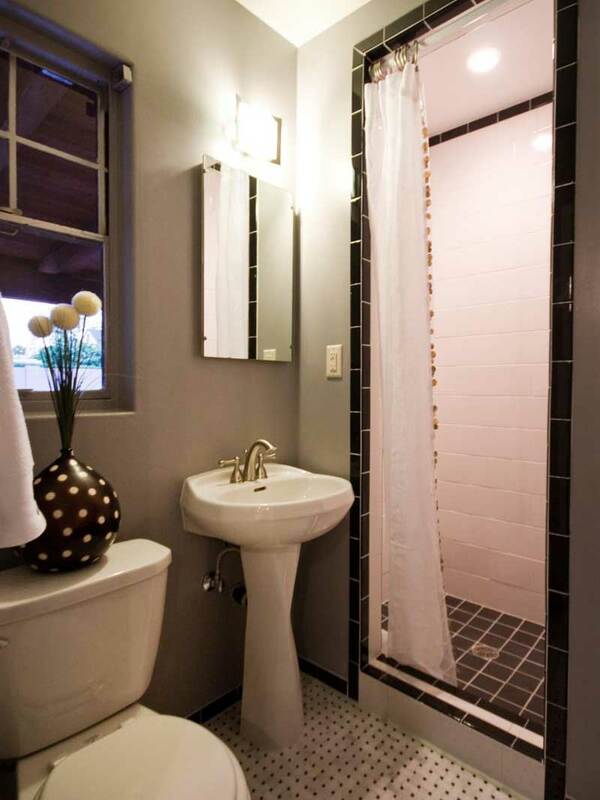 At the end is the shower with a lavender print shower curtain and walls made of white tiles to give it a sleek design. Light blue tiles on the wall with white accents and an art picture hung on the wall provides the perfect design. Here you can see the sink clearly with the toilet by the side, while the shower is hidden. Small bathroom with floors made of limestone. 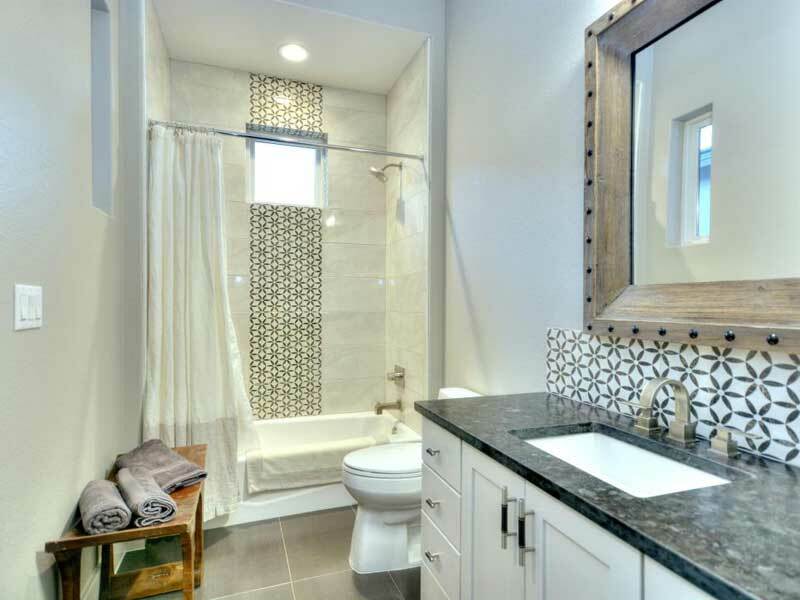 This bathroom has a perfect look, and you don’t need to think twice before choosing this. You can see the double sink by the side, with a walk-in glass shower at the end. This bathroom has the perfect combination of two glossy colors, red and black. 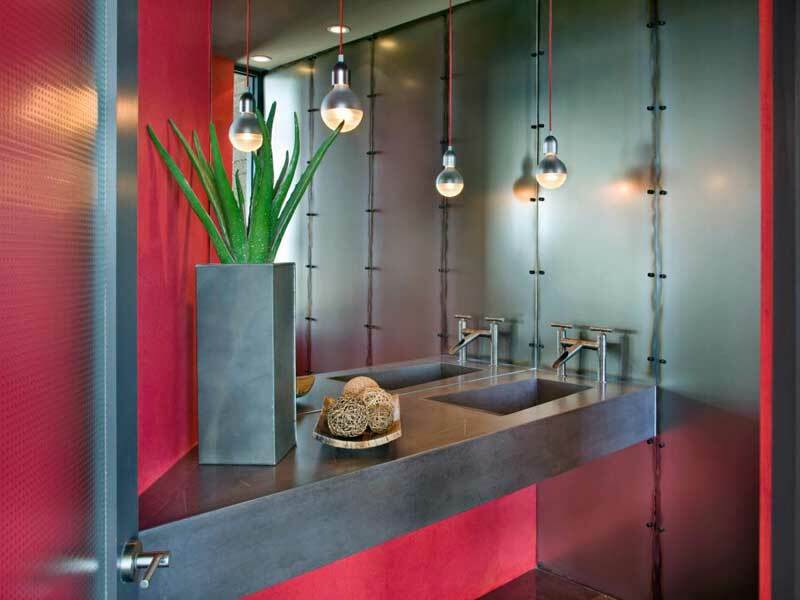 The sink is made of black, with chrome faucets while the walls accent in cherry red. The beautiful pendant lights also give this bathroom a unique look. Another perfect mixture of colors. 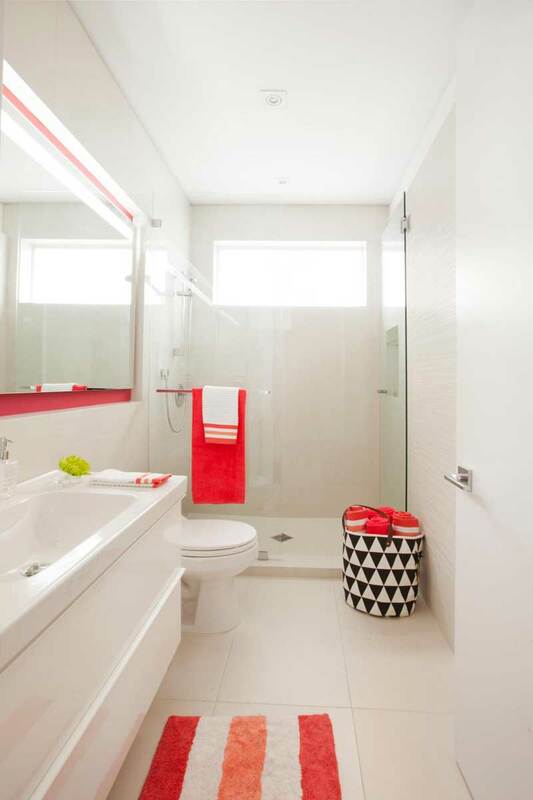 A simple red and white design, with a towel basket by the side, and foot mat in front of the sink with mirror fitted on top. The mirror has a unique red frame, white walls with red accents. A modern bathroom with a small tile shower. The side can also see the toilet with a white sink. The mirror is fitted with light by its side to make the bathroom look bright and to compliment the design. 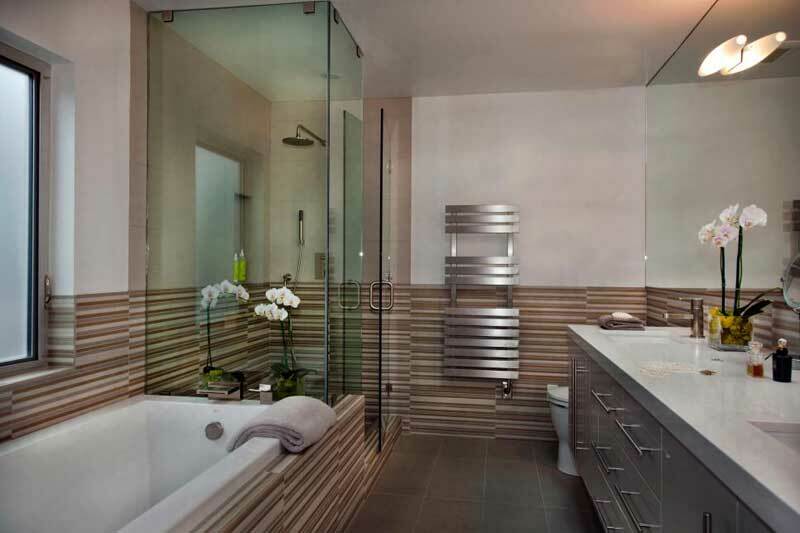 This bathroom has the perfect space, a floating vanity with white sink, and a walk-in shower with sliding glass doors. 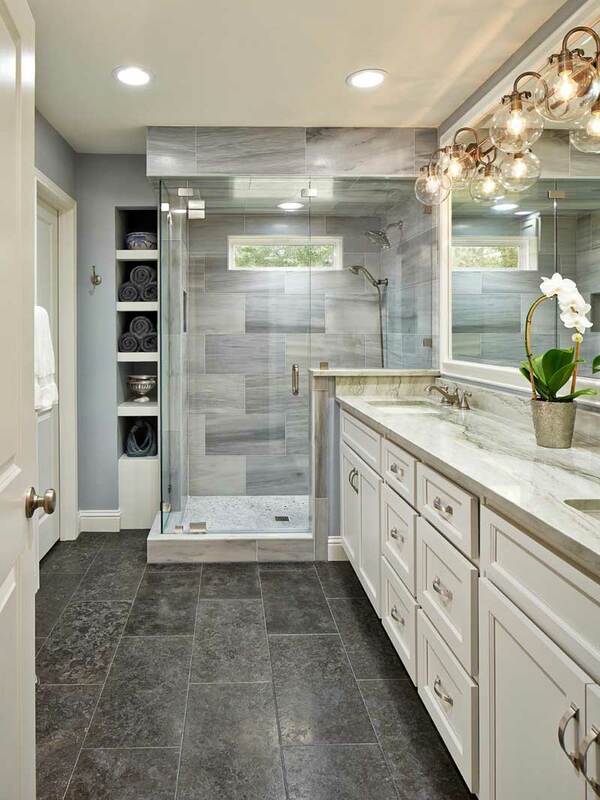 The gray tiles flare up the elegant view of the bathroom. A coastal bathroom with a spacious shower and white walls. 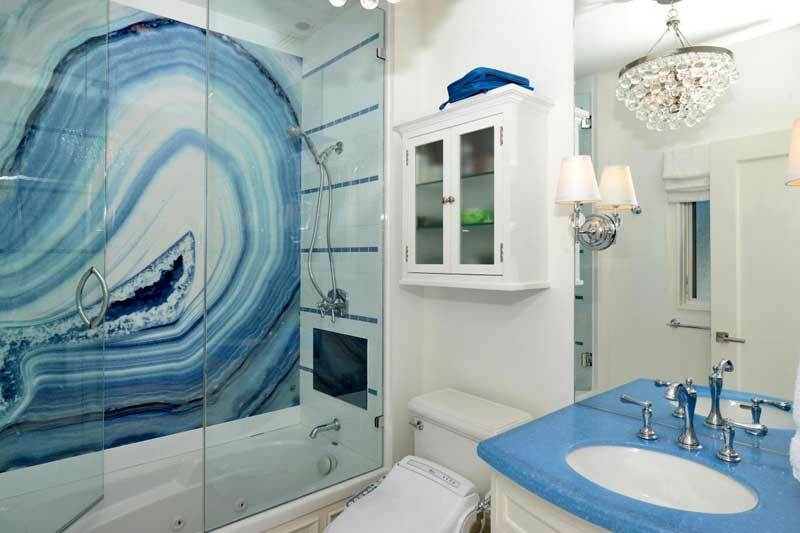 The blue countertops in this bathroom compliment its detailed geode design above the bathtub, with lights to give it a perfect bright look. 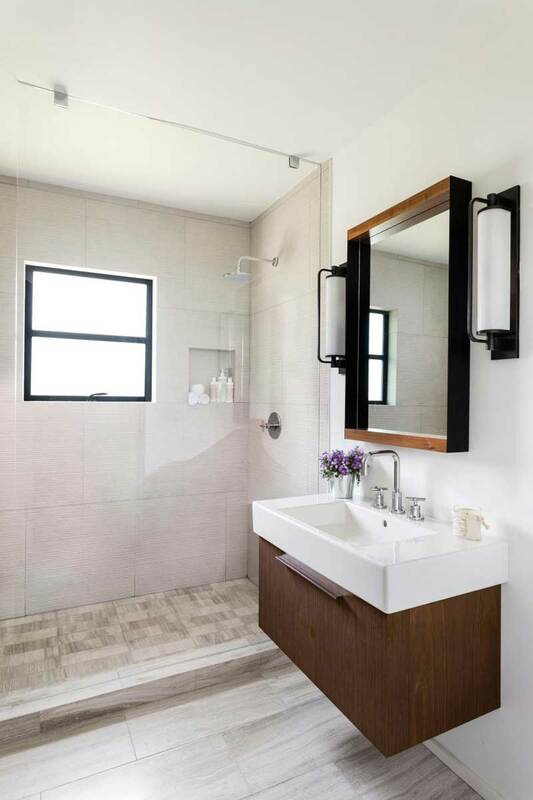 This modern small bathroom has a simple design, with a white ceiling, white countertops, and dark brown walls to give it the perfect design of your choice. If you prefer bathtubs, then here is a fantastic choice. 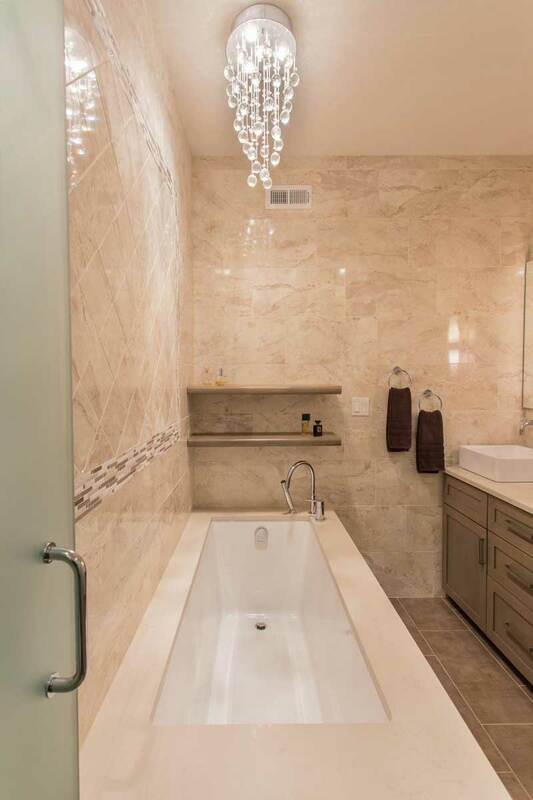 This bathroom has a deep bath with cream colors. 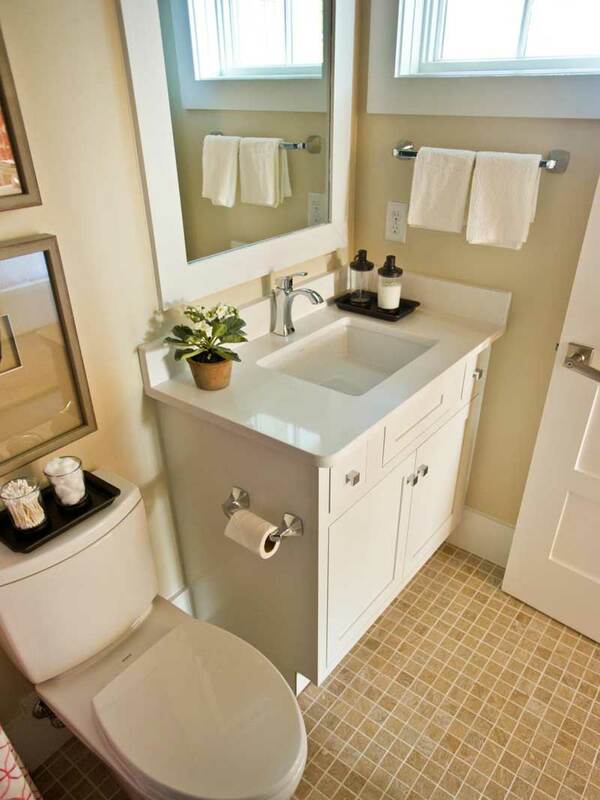 By the side is a vanity with white countertops and sink. 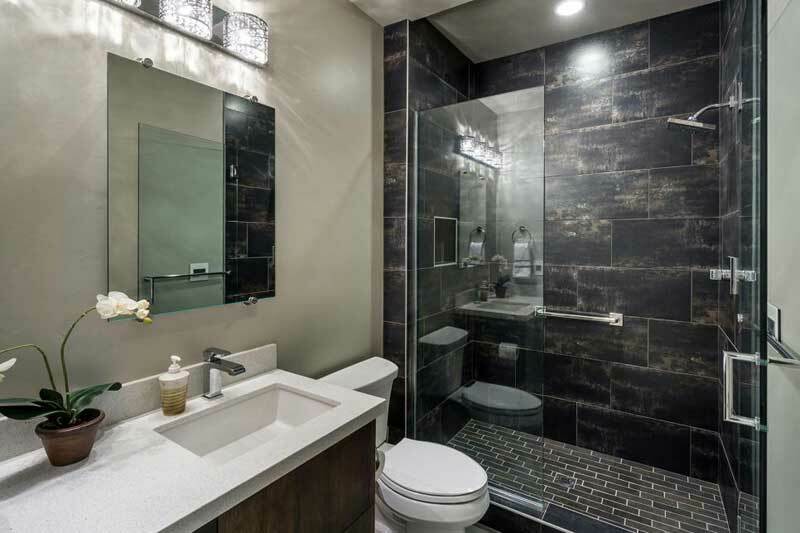 Dark, elegant tiles compliment the modern look of this design with white countertops, sink and toilet by the side. The shower is at the end and is accented with dark marble tiles. This is a beautiful art design. 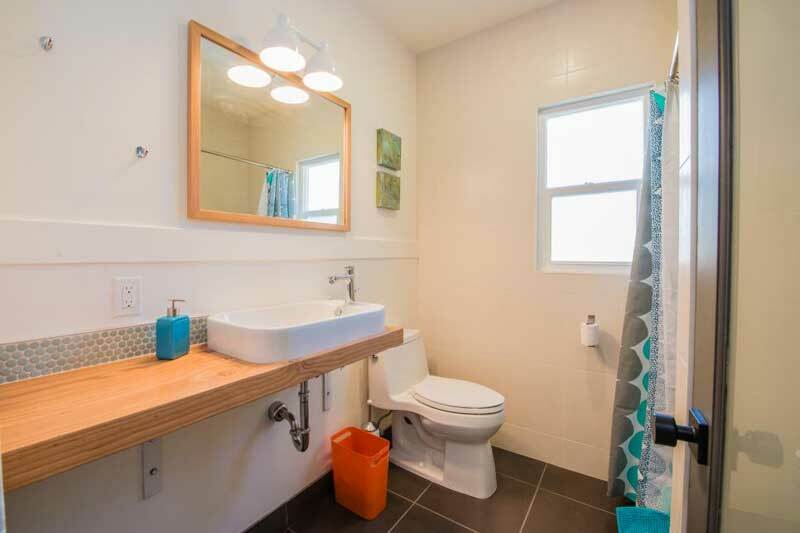 This bathroom has a wood-look tile wall, with white countertops, sink with faucets and toilet by the side. The mirror has an elegant look with its stainless frame and lights by the side walls. 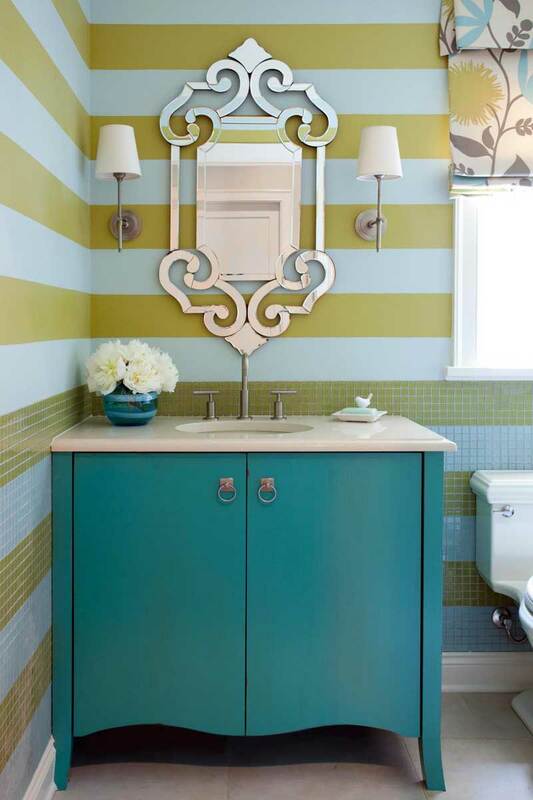 A small bathroom with great color and design. The bathroom is hidden off the kitchen, with a white sink, an oval shaped mirror with toilet. The floors are also white to fit with the walls and make wonderful use of a small space. An industrial modern bathroom with white walls and pictures of art to accent the design. The bathroom has both a shower and a bathtub, with countertops and a sink. The ceiling is just a simple white. 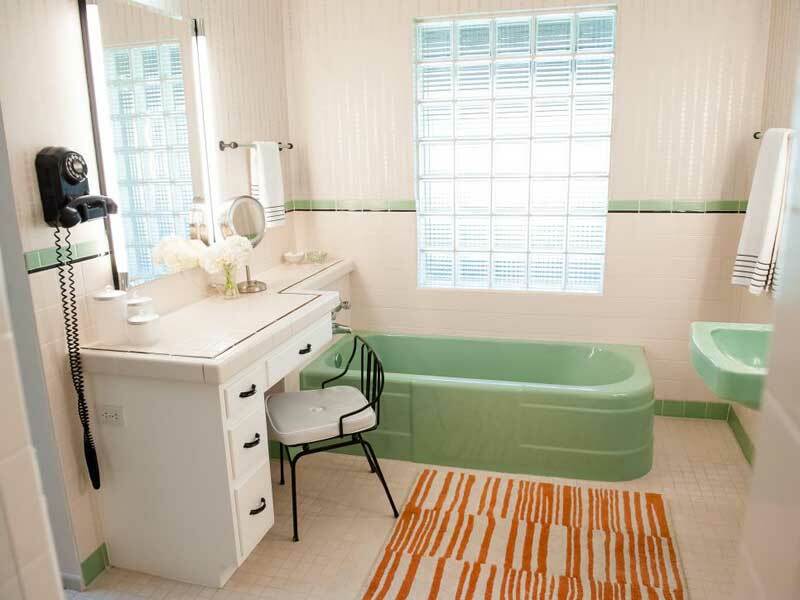 A mixture of green and white is a perfect color combination to compliment the look of this bathroom. The bathroom has a green tub and matching sink. The countertops are simply white, with a seat in front of the mirror. This modern bathroom is entirely different from every other modern bathroom you see. 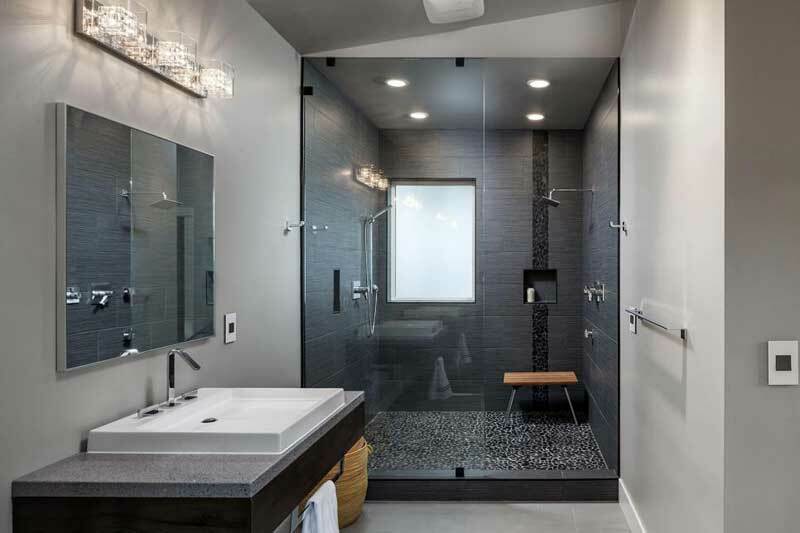 Instead of white tiles, the shower has black tiles and white outside walls to compliment the design. 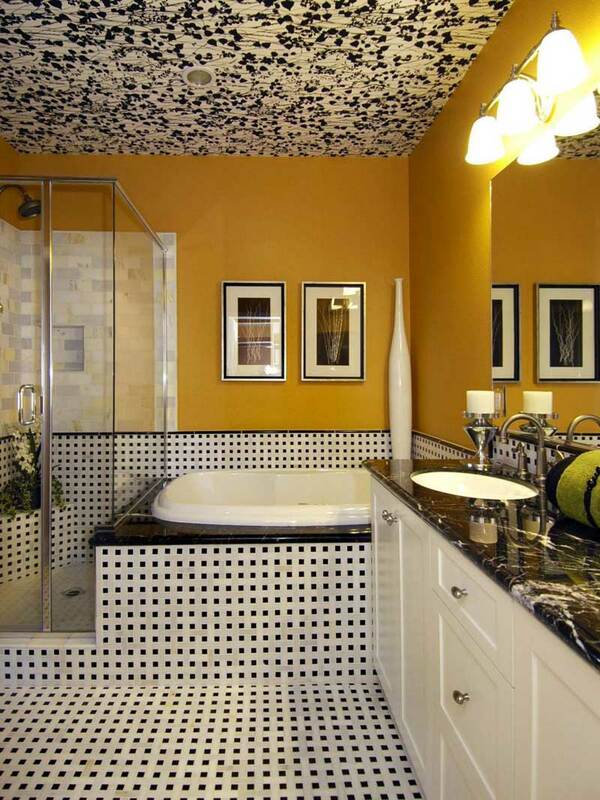 This bathroom has the perfect design with brown mosaic tile floors and a white ceiling. It also has a floating vanity with white countertops and a sink by the side. 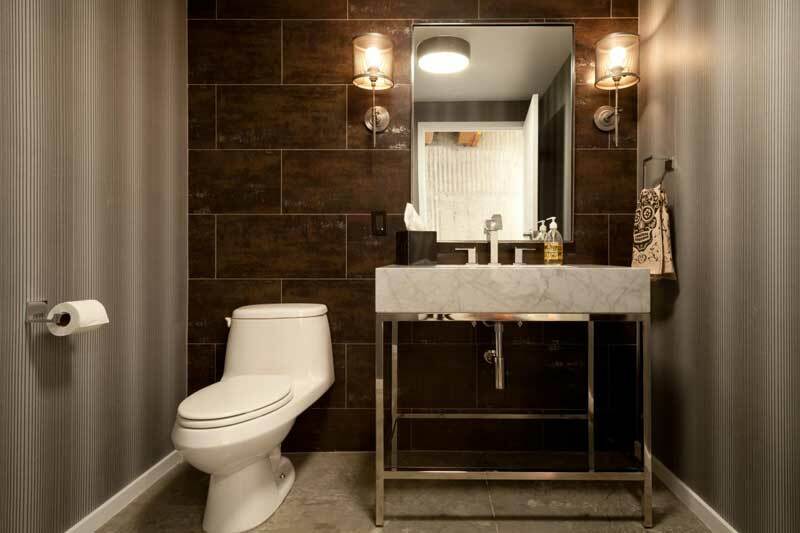 White walls and brown tiles are complimented by a brown vanity with white countertops and sink. It has both a bathtub and a glass-enclosed shower. An art picture is hung on the end wall to give the bathroom an elegant view. This is a full modern bathroom design with a little work of art. The toilet is fitted with the side of the sink with a glass enclosed shower. The design is complimented with a mixture of brown and gray colors. Both tub and shower – the choice is yours to make. 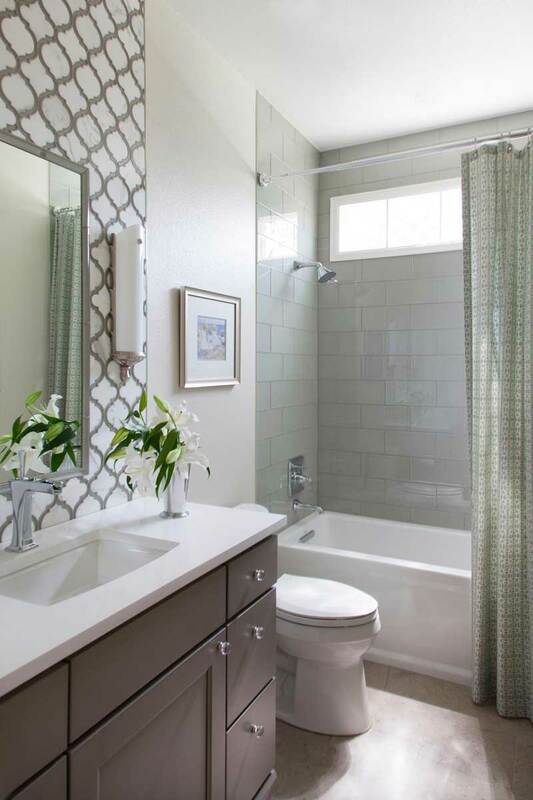 This bathroom has an elegant view with gray tiles to add more beauty to the flare of the bathroom. The shower is also well designed with its gray tiles. 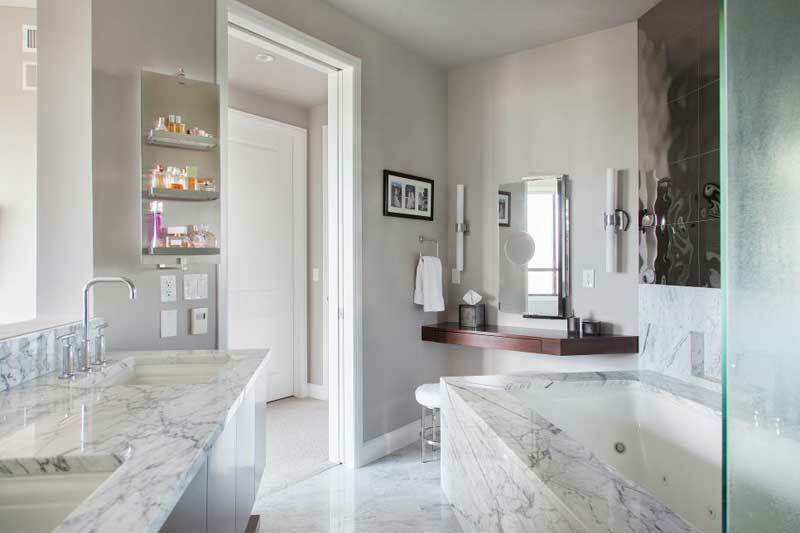 A new modern style bathroom with luxurious marble on both the floor and countertops. It has sinks at both sides, with a mirror at the end side. A picture is hung by the door to compliment the beautiful look of the bathroom. 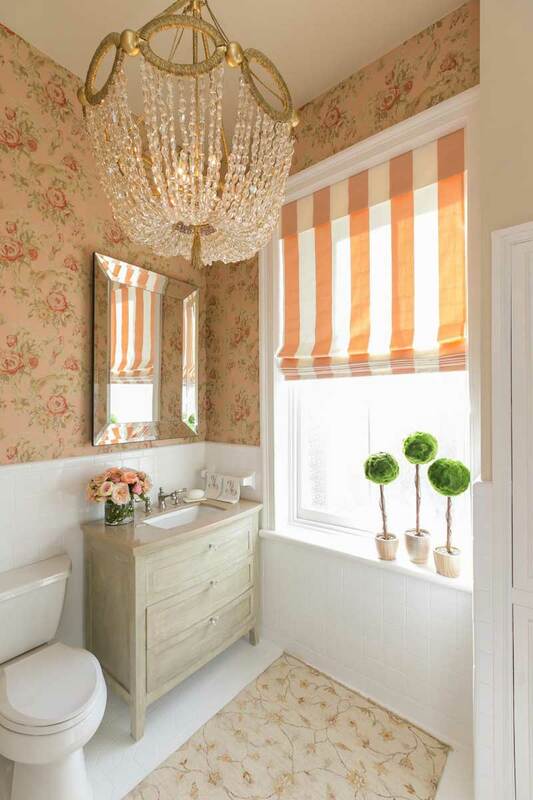 A bright looking bathroom with a simple design. This modern bathroom has a floating vanity with double sink and mirrors. The walls of the shower are beautified with marble tiles, to flare up the elegant view of this design. 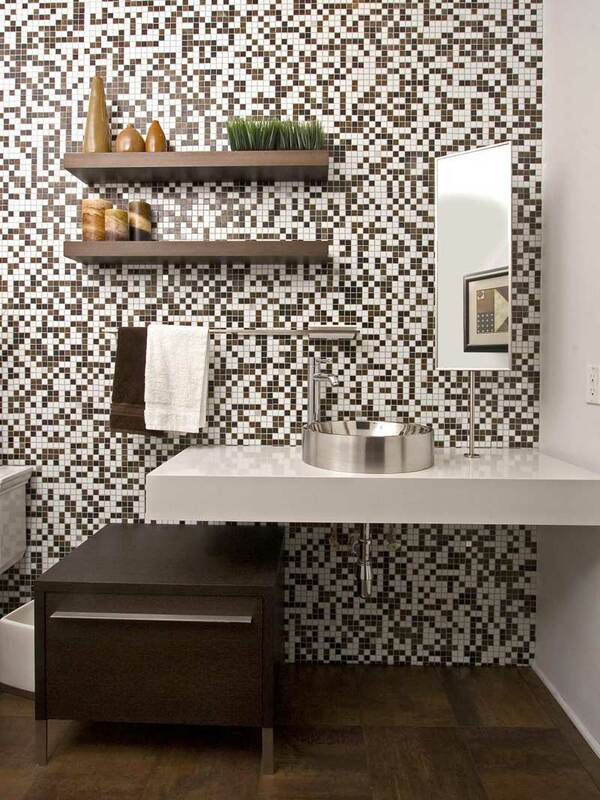 A brown mosaic tile wall gives this bathroom a perfect look and design it deserves. The floor is made of brown tiles and floating shelves accent the wall. This picture features only the sink with the mirror on top. A new modern style bathroom. 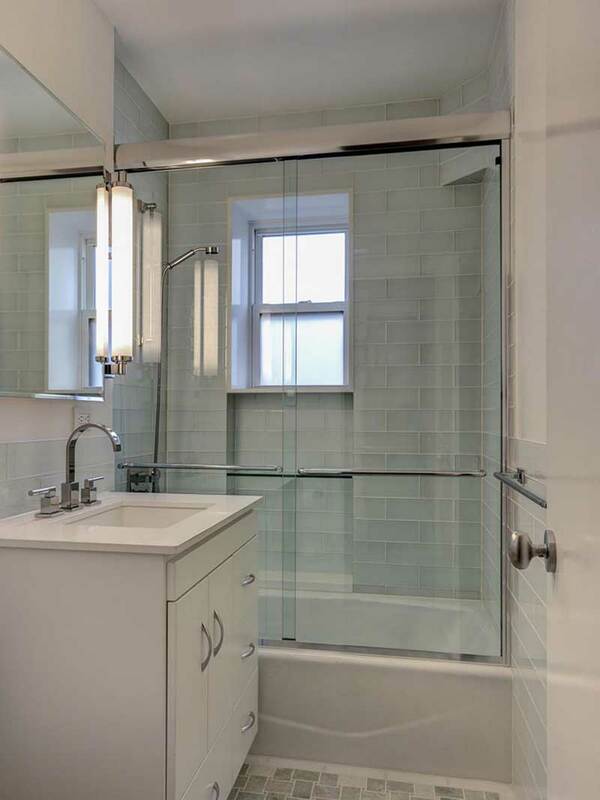 A modern bathroom with a glass-enclosed shower and a soaking tub. The floor is made of wood-look tiles, with white walls and wide windows to brighten up the room. 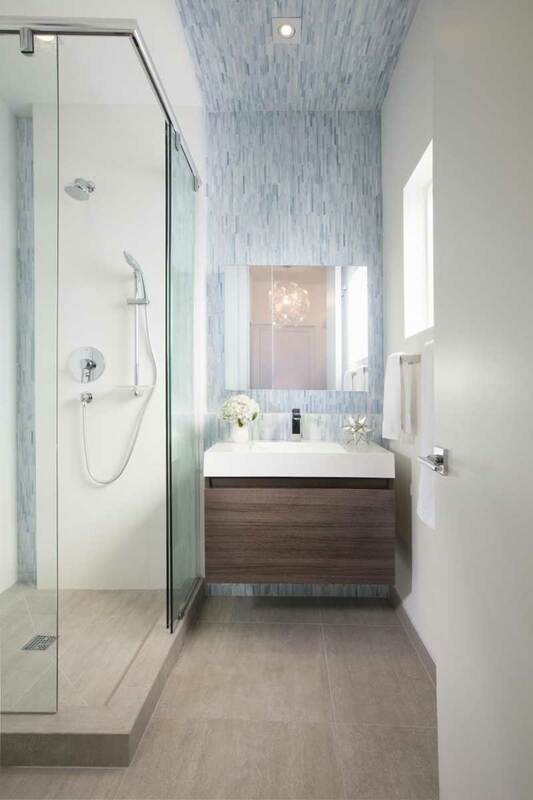 A striped wall compliments the look of this modern bathroom design. It has both the tub and shower nestled on the same side, with sink and toilet on the opposite side. Beautifully textured walls give this bathroom a unique modern style design. 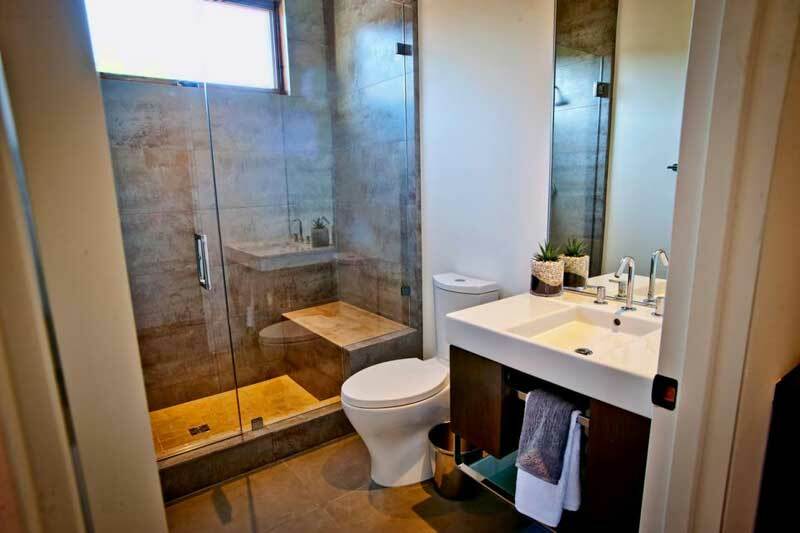 The bathroom also has a double sink with mirrors and a walk-in glass shower with textured walls to compliment the look of the bathroom. 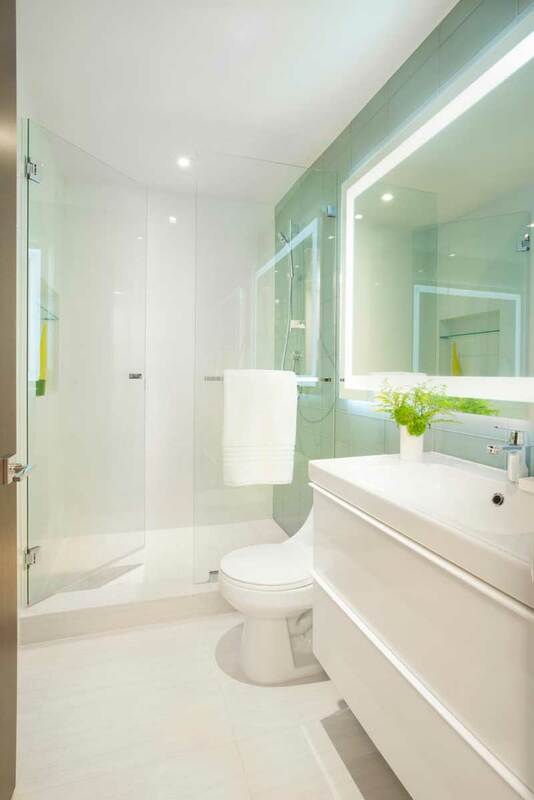 A modern style bathroom with a white vanity, a glass-enclosed shower, and a sink. 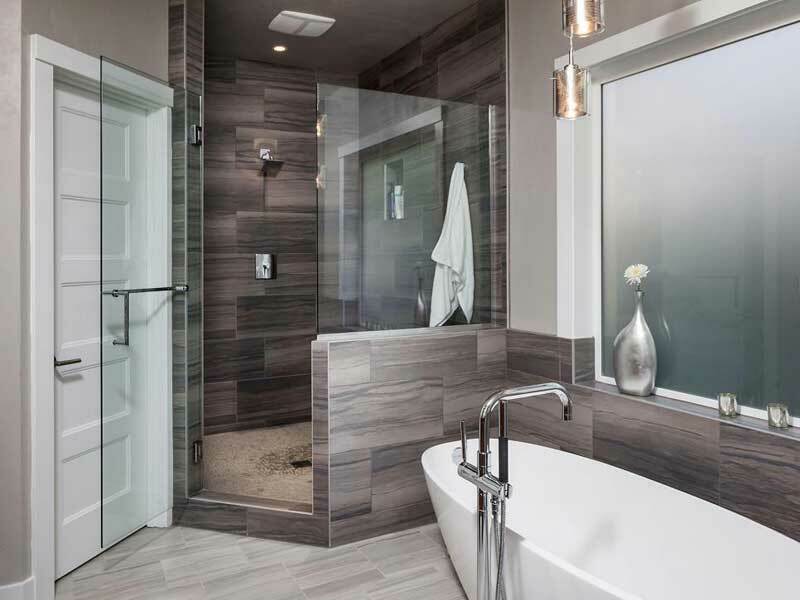 The elegant view of this bathroom is accented by walls and floors that are made of brown tiles. 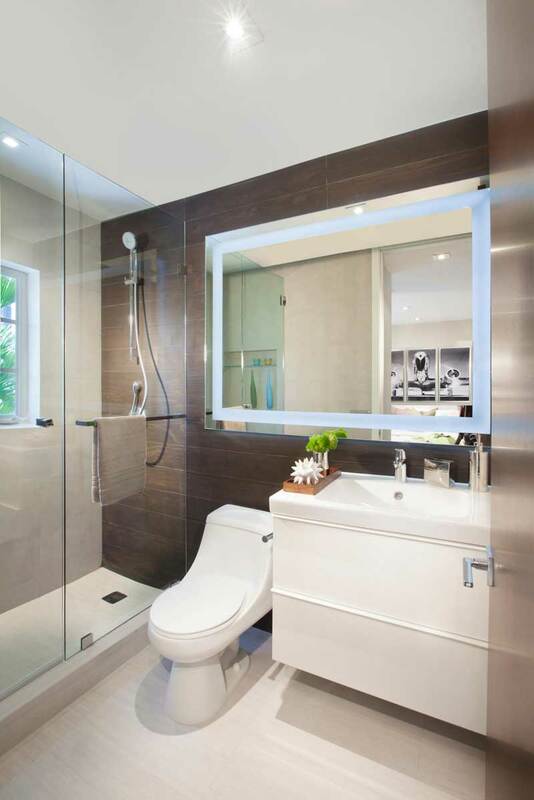 A modern style bathroom with minimalist design. 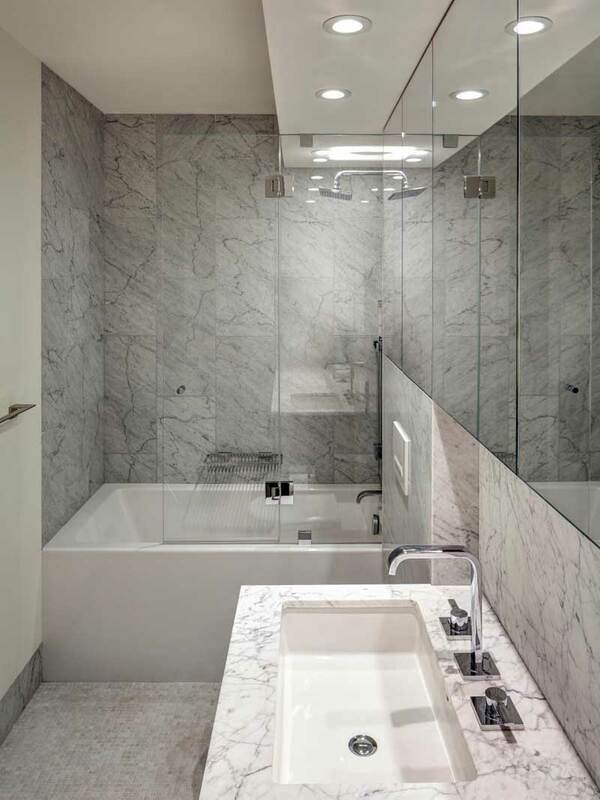 The bathroom walls are made of luxurious style marble, with a shower and a tub that are nestled by the side. 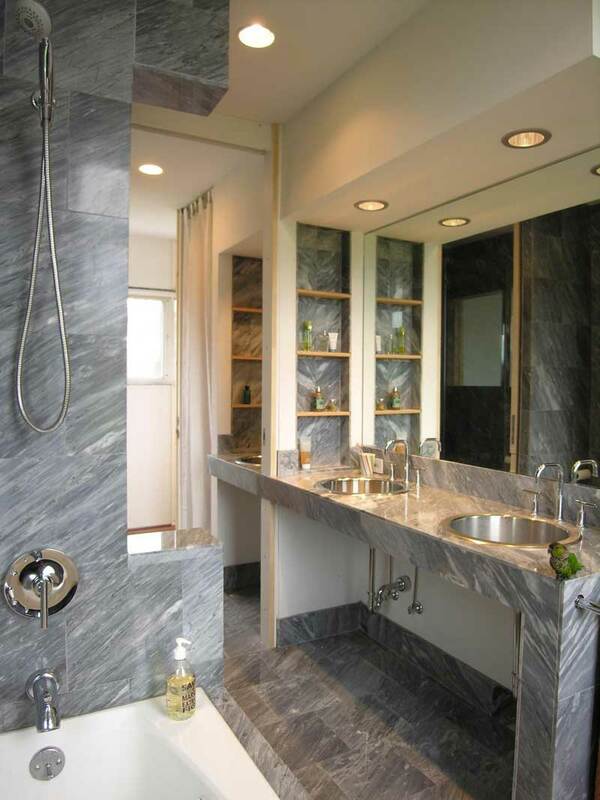 The elegant marble of this bathroom truly is the feature in this design. Simplicity defines the look of this modern style bathroom. The bathroom has just a single vanity, a sink and a mirror on top. You can clearly see the bathtub with shower. A small bathroom with a simple modern design. 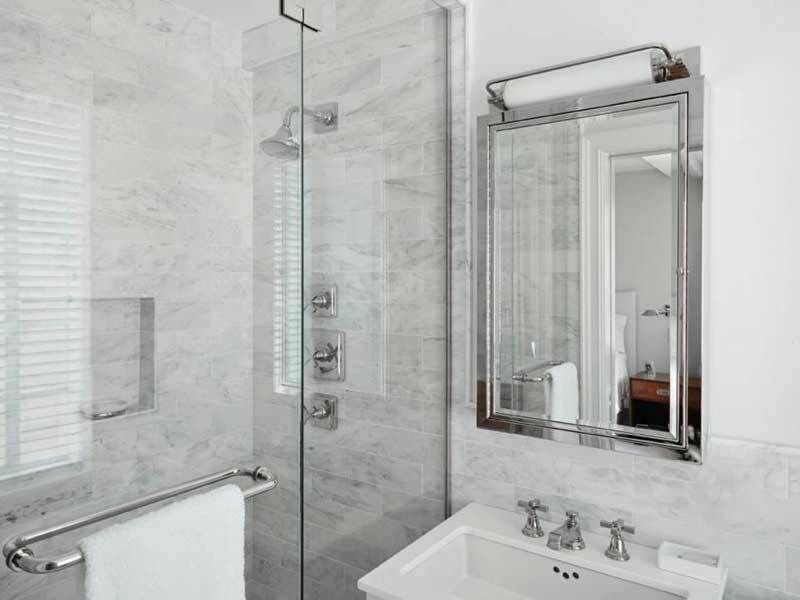 A glass shower can be seen on the left side, with a white sink and toilet on the right side of the bathroom. 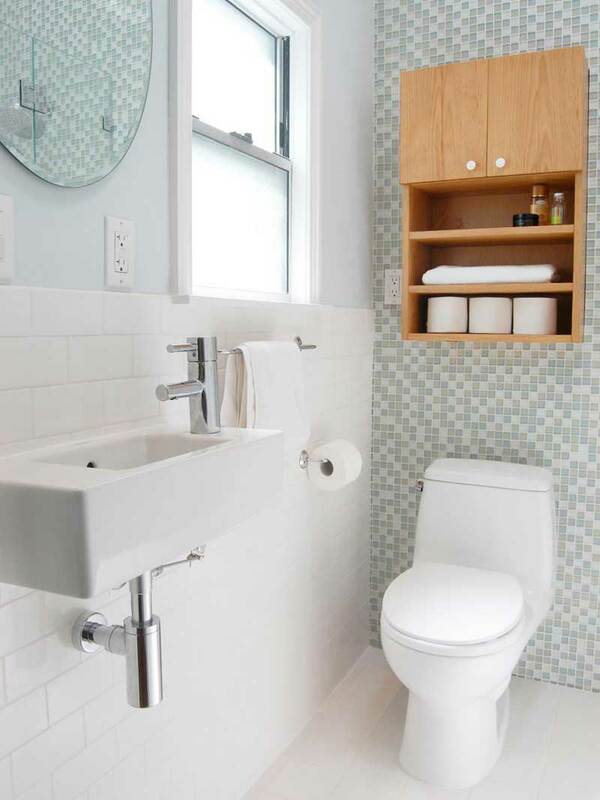 This bathroom features a unique design with its industrial sink, white walls, and a mirror with wooden frame. 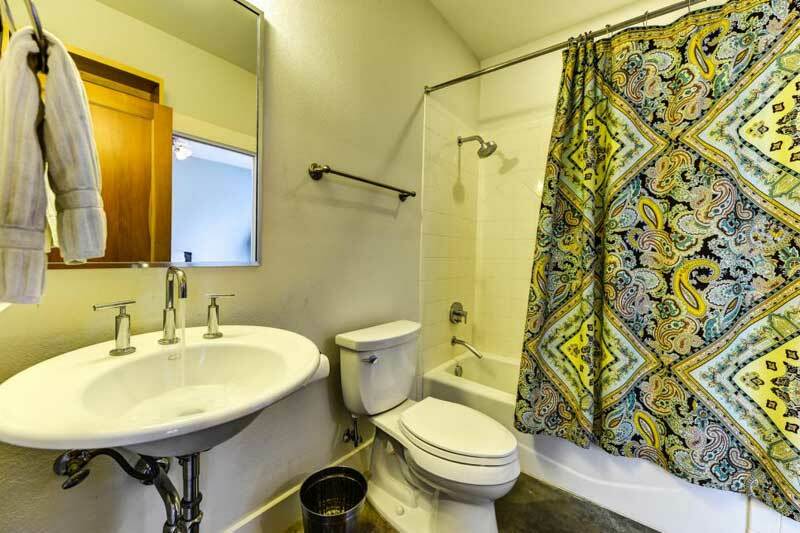 The toilet is built into the side of the sink, and the floors are made of dark brown tiles. 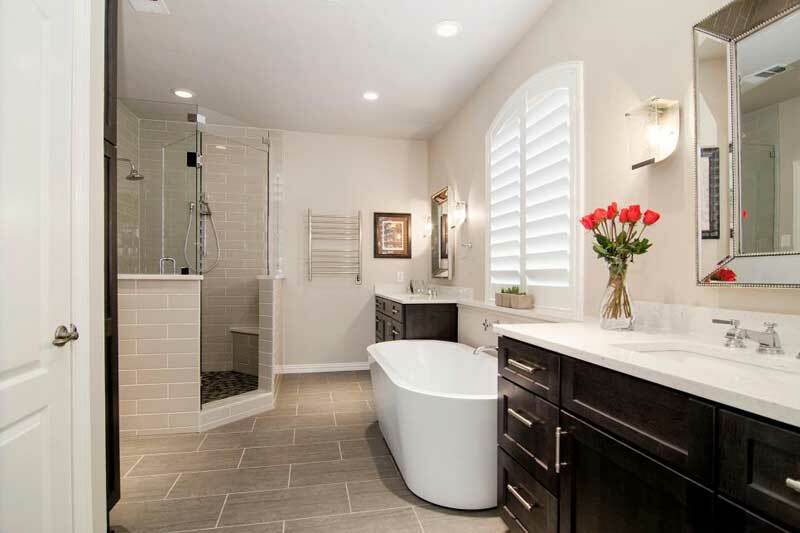 This bathroom has a stylish design that will blend seamlessly with the architectural style of the home. It features a functional space with subway and mosaic tiles. 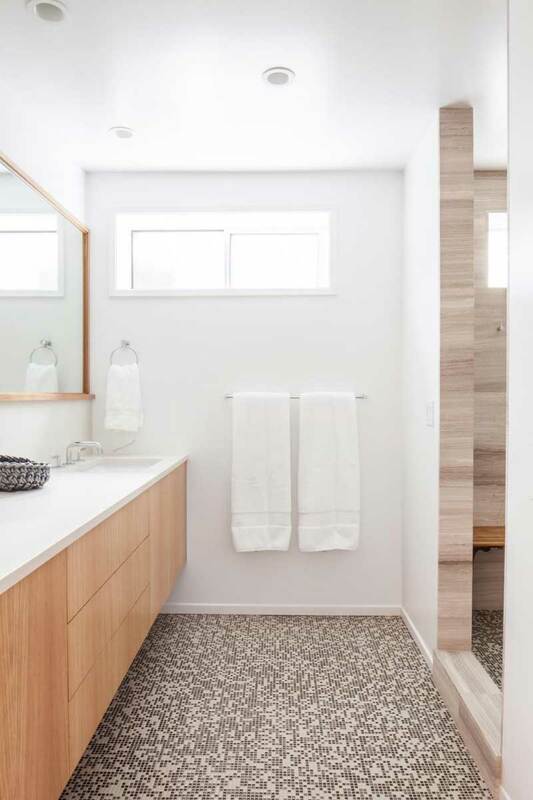 This bathroom has a simple little white vanity that adds elegance without overwhelming the design, with a perfect floor tile to compliment the overall look. 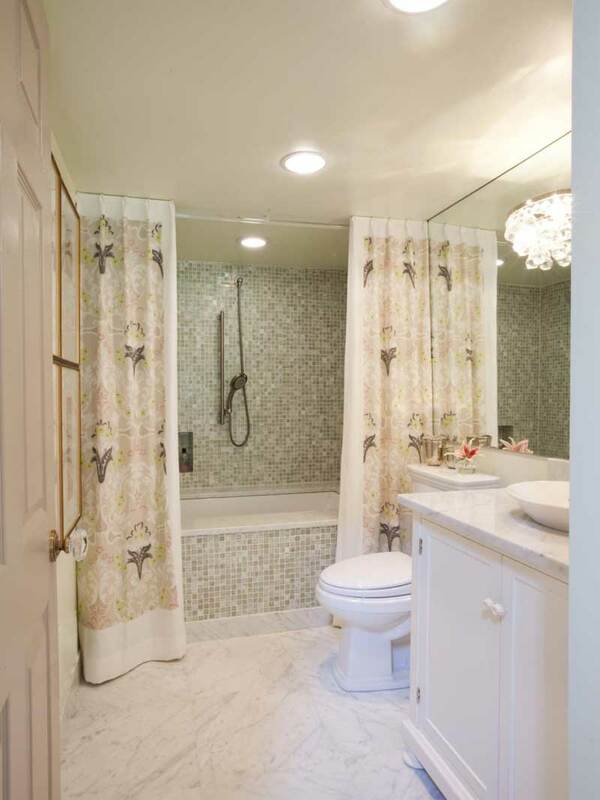 A traditional bathroom that features a decorative tile to add more beauty to its design. The bathroom has a shower with tiles to enhance its sleek design. This bathroom has a feminine design, with a dual console sink. The walls have a floral design to add to the beautiful view of the bathroom, with tiles in the perfect complimentary color. A real work of art. White walls with black accents compliment the look of this design. The bathroom has a standard sink with mirror and a standard toilet to the side. A standard green vanity with sink adds to the elegance of the bathroom. It features a perfect mixture of colors. On top of the sink is a mirror with lights by its side and a toilet to the side of the vanity. Lastly, a modern white bathroom that has marble tiles with sleek designs to compliment the elegant view of the bathroom. 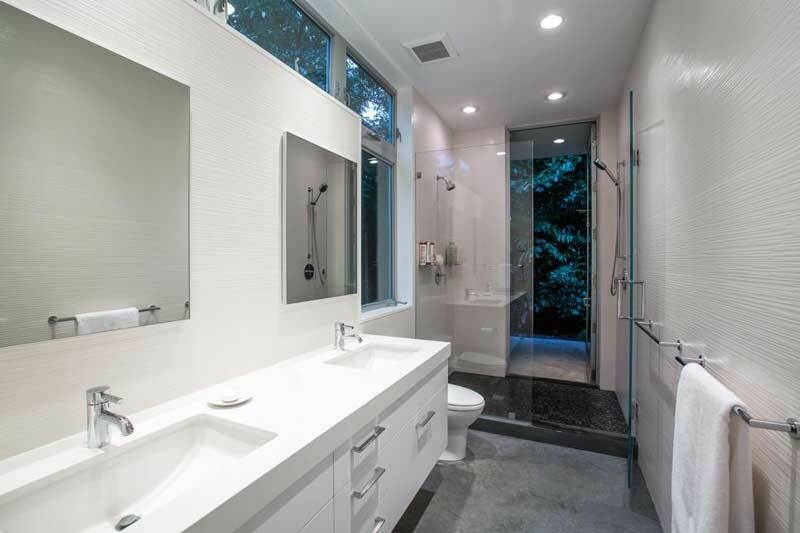 This bathroom features a modern white sink with mirror and a glass-enclosed shower to the side.